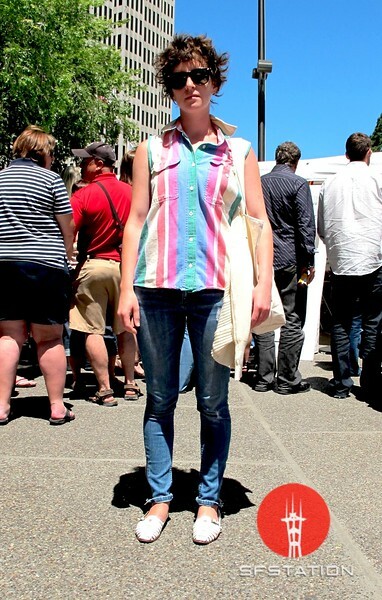 In This Scene: Blue Bottle barista, Jessica McLachlan, at the Top Chef Tour in Justin Herman Plaza. McLachlan's shirt and shoes are vintage from Painted Bird in the Mission. The white, woven flats were in mint condition--I couldn't believe they were vintage! Her tousled short hair is the icing on the cake for this hip summer look.